Our dedicated sales and technical teams live and work in the communities we serve. As a part of the local economy, we know what it takes to help you succeed. Learn how Midco makes running your business easier. Keeping you connected is our priority. 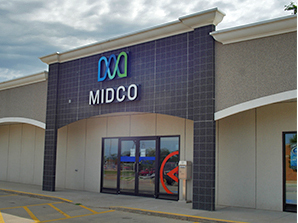 With up to 99.999% network availability, you can focus on your business, knowing you have reliable access to Midco's network. Bottom line – we'll make sure you can get the job done. Our fiber network spans throughout Minnesota, North Dakota and South Dakota. Because we own 95% of our network, you can remain confident that Midco Business is your single point of contact about your services. We're constantly monitoring our network, so we can often resolve potential issues before they affect our customers. Our support team is here 24/7 to take care of any questions or technical needs. Partner with us, and you'll work with a dedicated Midco consultant near you. Many of our team members have worked for Midco for years, so you'll receive personalized attention from someone who knows this business inside and out. Midco cable TV and digital advertising are powerful tools that can help you reach the right audience. We'll get your commercials and online ads on track for success. Our in-house creative team produces TV commercials to your specific needs, guides you through the process and delivers results. We work with small to large businesses and everything in-between.